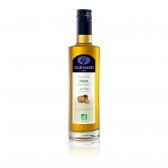 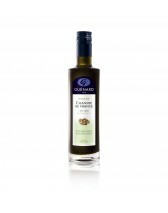 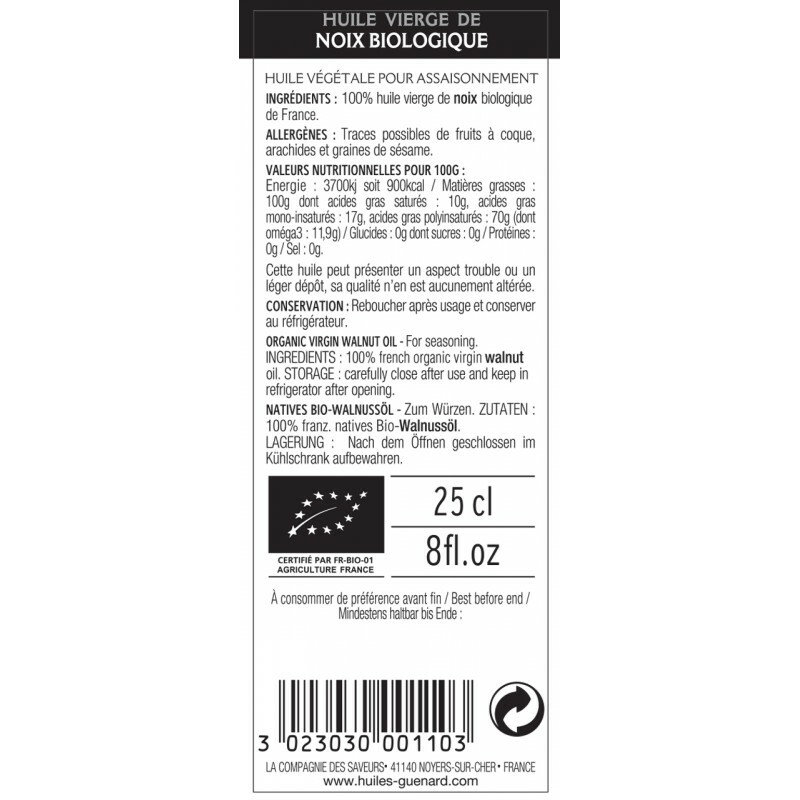 This organic walnut oil is characterized by an intense gourmet walnut taste. In fact, it is 100% virgin oil, made exclusively by pressing nuts, which were rigorously selected and previously toasted and crushed. This choice of an organic cultivation method ensures respect for the environment and an optimal flavor.